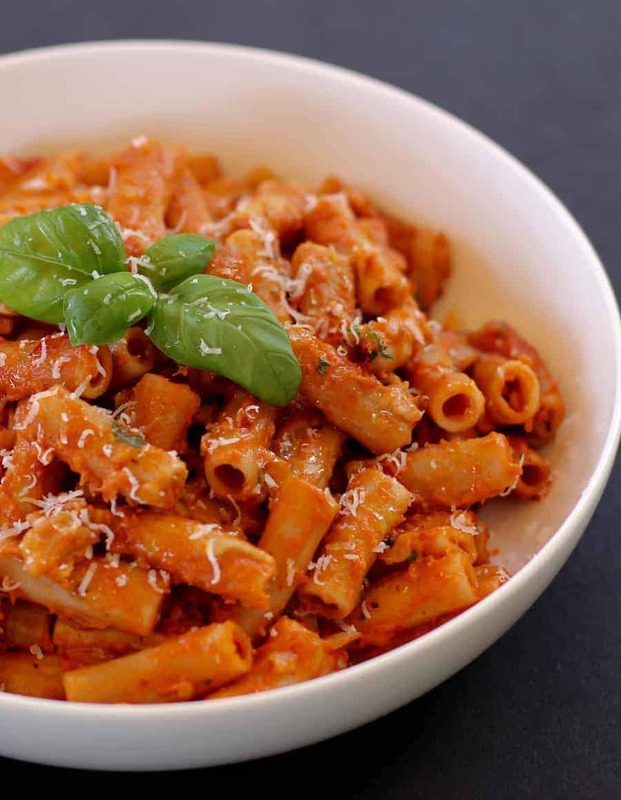 Penne Alla Vodka – A classic Italian pasta dish with smooth and creamy tomato-based sauce is a favorite comfort food of mine! 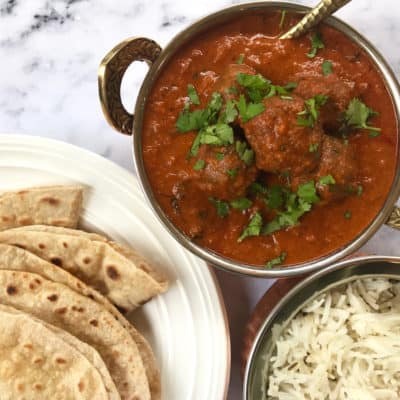 I love to cook food that I have enjoyed in restaurants and this recipe is my attempt to recreate one of those delicious dishes. 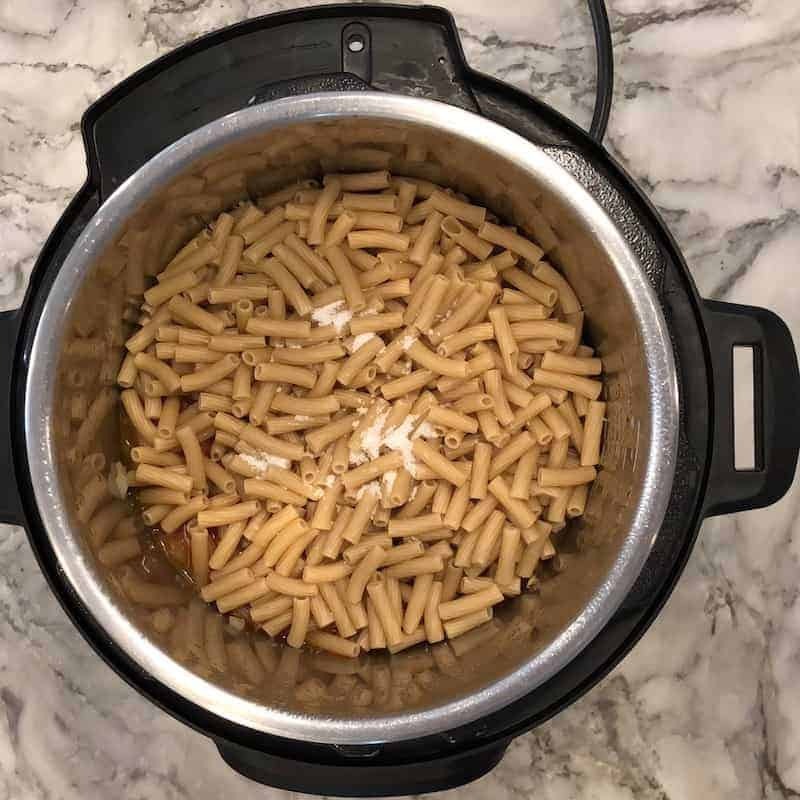 I have made this pasta on stovetop for a long time and couldn’t wait to try it in my Instant Pot. 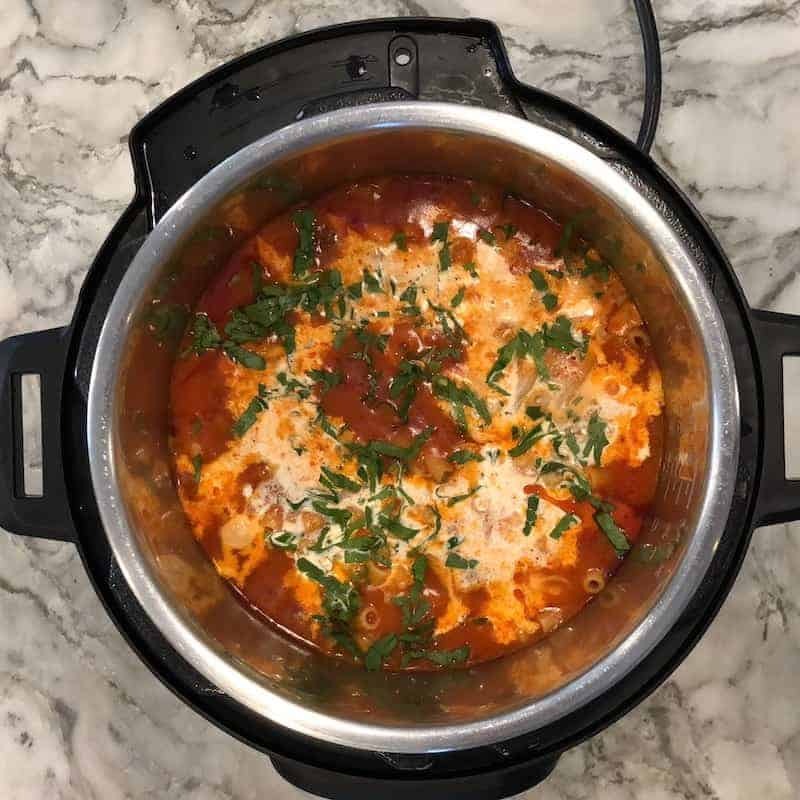 Cooking the pasta in the Instant Pot gives it a naturally creamy texture as the recipes do not require draining the excess water after pressure cooking the pasta. This water adds a great testure and flavor to the dish. For any one wondering most of the alcohol in this recipe is evaporated but the traces left unlocks a lot of flavors. Love the Trader Joe’s gluten free pasta varieties. 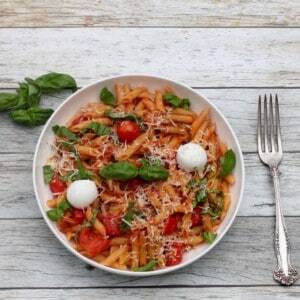 I use the brown rice pasta in this recipe that has a cook time of 7 – 10 minutes. This Pasta cooks al dente in 4 mins followed by quick release. For regular pasta, check the cooktime on the box. Use half the time to pressure cook pasta for a well cooked pasta or half the time minus one minute for aldente. 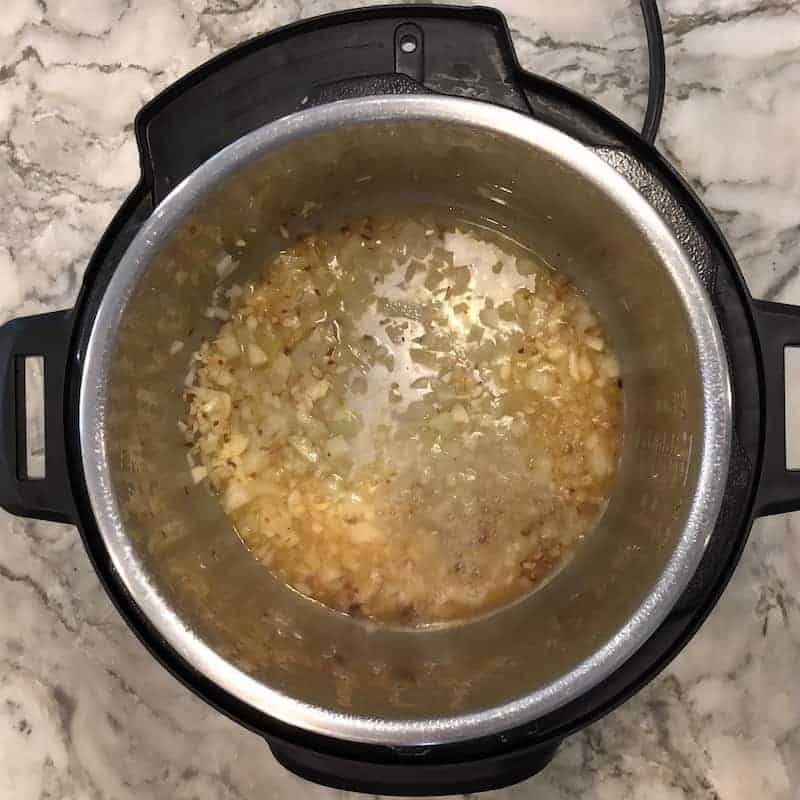 Turn the Instant Pot to Saute mode and heat oil. Add onions, garlic and red pepper flakes. Mix well and cook for 2 minutes with a glass lid on. Add vodka, mix well and cook for another 2 mins to reduce down the vodka. Quick release and open the lid. Stir in cream. Add parsley and grated cheese. Mix well and Serve hot. 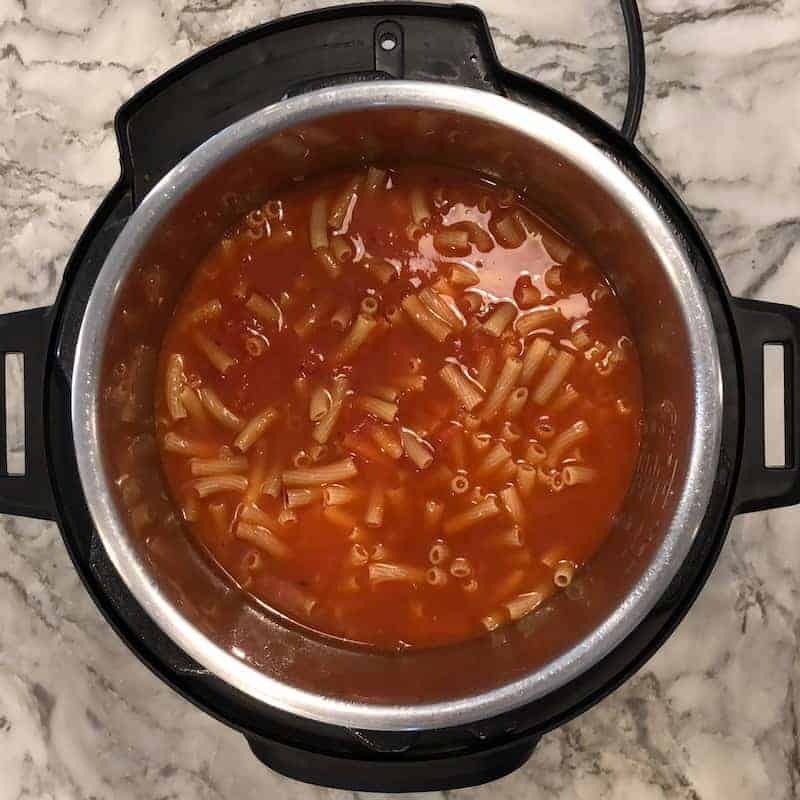 Note: For any other type or brand of pasta, set Instant Pot to Manual(HI) for half the time that is specified as cooking time on the pasta box. Sauté 1 inch cubes of boneless chicken thighs along with the onions and follow the remaining recipe. Stir in few handful of baby spinach in the end just before serving. 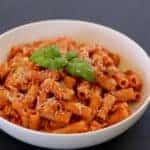 Italian classic pasta dish made in a creamy tomato, garlic, vodka sauce. 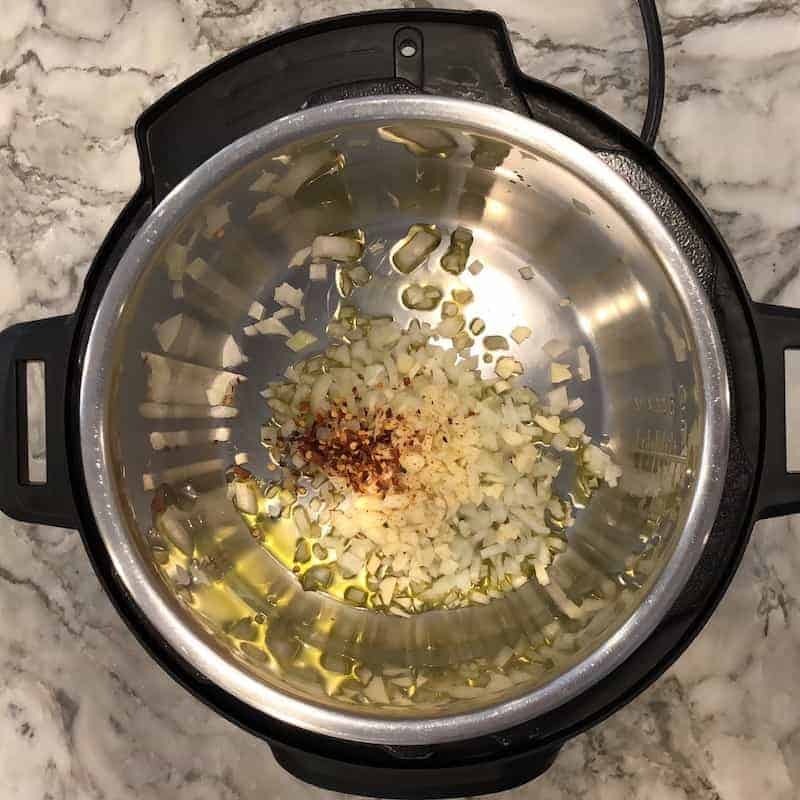 Turn the Instant Pot to Saute mode and heat oil. Add onions, garlic and red pepper flakes. Mix well and cook for 2 minutes with a glass lid on. Add vodka, mix well and cook for another 2 mins to reduce down the vodka. Add pasta, 2 cups of water, tomato puree and salt. Close the Instant Pot and Manual/pressure cook for 4 minutes (Note, the cook time on Trader Joe’s brown rice pasta is 7-10 mins) followed by Quick Release. Stir in cream. Add parsley and grated cheese. Mix well and Serve hot. 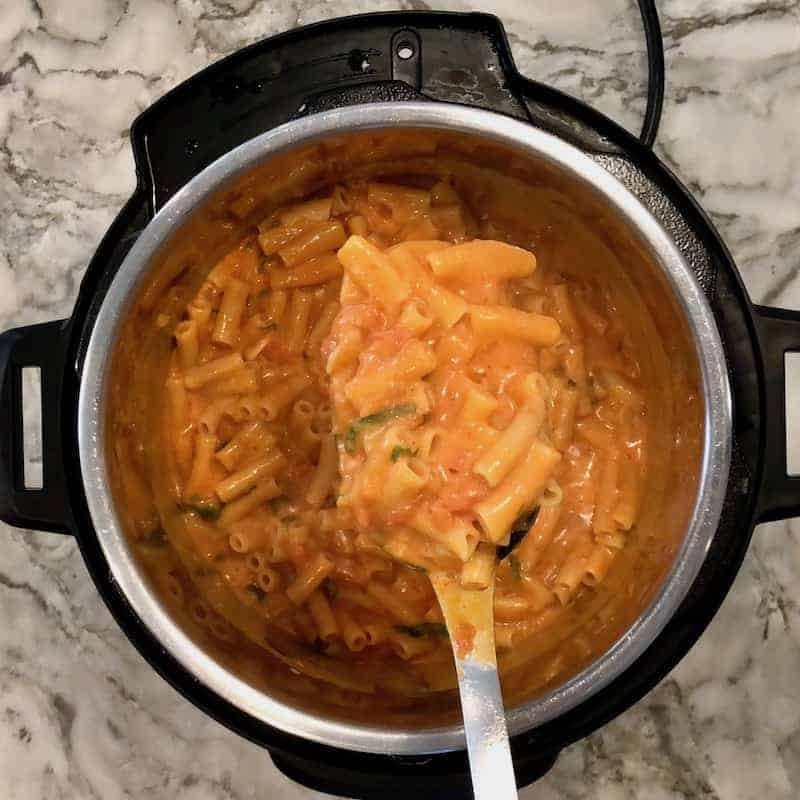 You certainly are on your instant pot kick eh? It looks delicious. How does that differ from a pressure cooker? I have neither and don’t have the room either, but was just curious? Thank you Loretta! It is an electric pressure cooker that cooks food much faster without having to baby sit the food while it is cooking. It also has an sauté option, so you can sauté your onions and garlic before making some dishes so there is more flavor. And lastly makes great homemade yogurt!! Some instant pots can do pressure cooking as well as other things like slow cooker and steaming as well. But it’s difficult if not impossible to do those things with a pressure cooker. 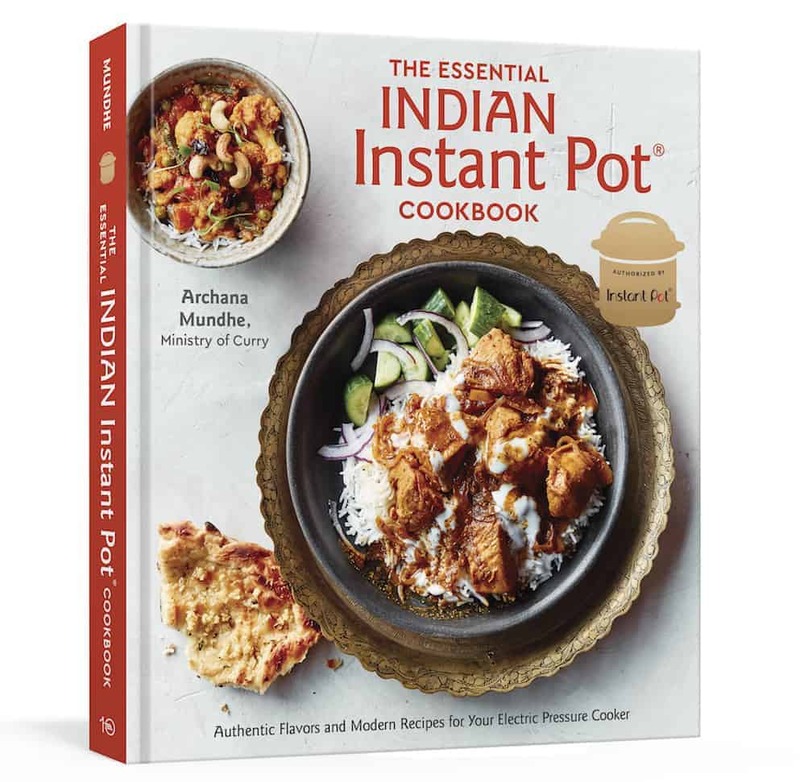 All Instant Pots have steam and slow cooker options. I agree it can be also achieved with a traditional pressure cooker. 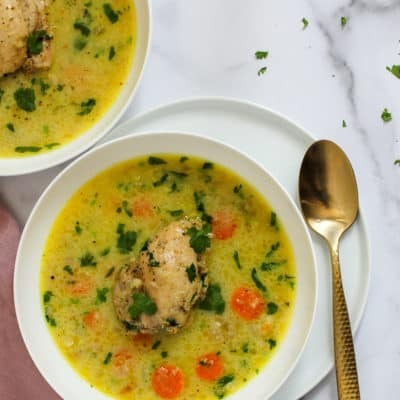 Just wanted to stop by and thank you for this fabulous recipe. I made it last night, but substituted gin for the vodka (don’t judge – it’s a real thing!). I took your suggestion and used my immersion blender on whole Marzano canned tomatoes, and tossed in some baby spinach leaves when it was done. Yum! Will be trying your other recipes as well. Thanks so much! Hi Miki, Thank you so much for taking time to give me your feedback. So judgements – Vodka, Gin, all good!! 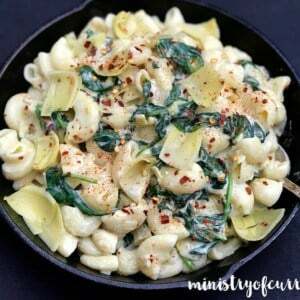 Love adding Spinach to the pasta too. 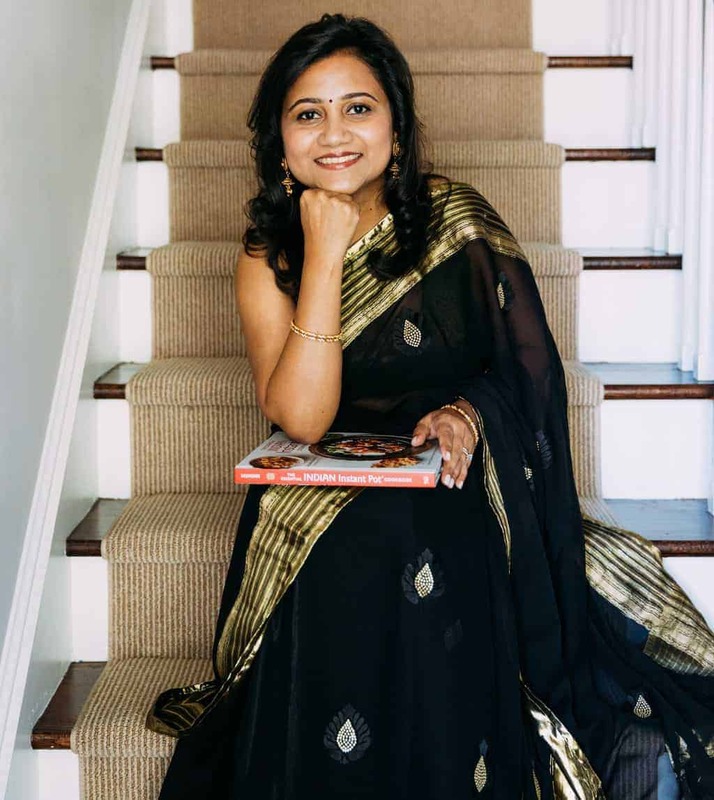 Hope you enjoy rest of my recipes too. Any good substitutes for Vodka? We can’t use alcohol in our food. Thanks! Can I add water instead of vodka? yes. use the water to deglaze the pot. Yes! You can skip vodka. I bought Victoria’s vodka sauce. How much do I use for regular Barilla penne pasta? I would add half of the pasta sauce and remaining water(to help Instant Pot come to pressure properly) until most of the pasta is under water. You can stir in remaining sauce after the pressure cooking cycle is complete. Hi Elena! Thank you for your lovely feedback. So happy to hear that your parents enjoyed it too. What kinds of vodka do you use for cooking? Smirnoff works well for me. But any vodka should do. Loved the recipe! I got a burnt error though. I added more water and tried to cook it until the pasta was done. Added veggies at end. Any way to avoid the burnt message in this recipe? I added vodka pasta sauce to the TJ brown rice pasta. I did add water but maybe not enough? Hi Binta, yes the regular vodka sauce is on the thicker side and will need additional 1/2 cup of water. Also just layer the sauce over the pasta. You do not need to mix in. 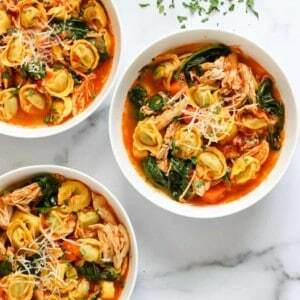 Do you increase cooking time when you double the recipe? Hi Donna, Same Pressure cooking time. Only the Instant Pot will take longer to come to pressure. Can you substitute milk for heavy cream? If so, how much milk to use? Instead of puréed tomatoes can I add tomato sauce? Yes! That works well too. So if you use Trader Joe’s brown rice penne do you pressure cook for 7-10 minutes instead of 4? package just as a reference. Thanks for the recipe! The video has the tomato sauce mixed in instead of layered on top of the water mentioned in the tips. Which method is better? Layer on top as mentioned in the tips. Hi! I’m so excited to try this! Any recommendations if I wanted to add ground meat?